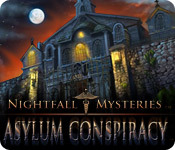 Nightfall Mysteries: Asylum Conspiracy is rated 4.3 out of 5 by 72. Rated 5 out of 5 by J9CT from First time I played this series - love it!!!! I seriously enjoyed this game. I've played quite a few games recently where I just wanted it to end and I didn't care how it ended but this game is different. Didn't have that super modern look which takes away from the creepy factor, graphics were perfect for an asylum mystery. I found the dialogue actually helped in figuring out the mystery plus it indicates your task. When it gets a bit long-winded you can just hurry it along by clicking. I really enjoyed the HO parts and they were not that easy which is great. As the game progresses you find yourself playing the same HO for a 2nd time but I didn't mind as the tool you receive is useful and its just so much fun to play. It doesn't feel like the story is finished so hopefully it continues in the series. Rated 5 out of 5 by pcpat923 from BRU-HA-HA-HA! SCARY AND FRIGHTFUL! Yes, indeed, it's 2017 and I've replayed this 1st in the Nightfall Mysteries series game over and over having made the original purchase when it was 1st released years ago. A keeper for the earnest game player. Atmosphere is foreboding, eerie and scary. Presently, developers issue a written notice or a warning if games are intense. 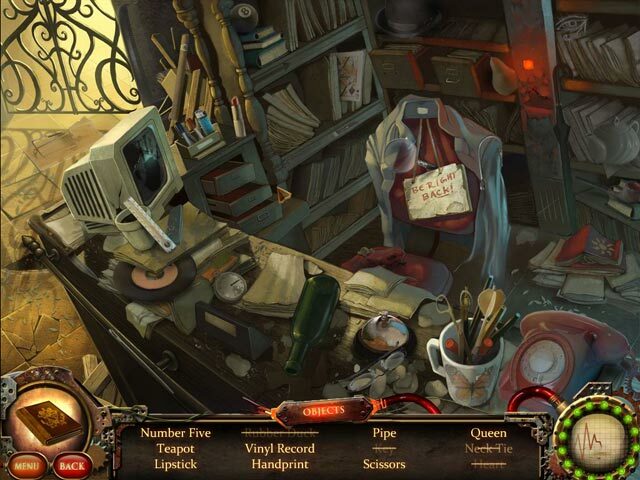 Story is well written and hidden objects are hand drawn and do-able. Definitely step into your time warp machine and play. Enjoy! Rated 5 out of 5 by Sorceress_Evie from Amazing! This game is amazing and I love it! I first played it years ago from Shockwave and at the time didn't know it was the first in the series. I though Curse of the Opera was as that was the first I played. I still love this game a whole lot! Especially how creepy the music can get. Rated 5 out of 5 by RosieMuffin from Creepy & fun! This is one of the best games I have ever played on Big Fish! It does so well at being creepy, there are some very unsettling scenes which I personally love in games! The voice acting, soundtrack & graphics are all amazing, together they give the game a really fleshed out and immersive feel. The gameplay runs smoothly and the developers obviously understand how to make a good game with substance, unlike a lot of the new stuff that's being churned out which feels like a string of pretty pictures and not much else. The one piece of advice i'd give to future players is, if you get stuck at any point, search back through previous rooms and 9 times out of 10 there will be a HOP waiting for you which will give you an item needed to progress. Rated 5 out of 5 by listenerstone from Another Great Older Game I'm a fan of all of the Nightfall Mysteries games and this is the one that kicks the entire storyline off. I'm also a big fan of spooky hidden object or adventure games and this fits that bill as well. I will say that this game is mostly HO scenes with a few other puzzles thrown in. So if that isn't your thing, you may not enjoy this game as much as some others that incorporate different types of puzzles. And some of the HO scenes are a little hard to see along the sides in fullscreen; there were a few times I had to kick the game out of that mode just to see the edges of the scene. But it can be worth it if you like to complete all the achievements available in the game. There is a notebook available that offers clues, tasks, audio tapes (that you collect throughout the game), a map, a walkthrough, and achievements. The map is decent, but it is not a jump map, so you will have to manually return to all your previous sites. The walkthrough isn't too bad and can come in handy if you find yourself in a pinch. There is only one game mode, so you cannot make the game harder if that is something that interests you. And while the games and HO scenes are fun, none are overly challenging or difficult. Again, some players may like a bit more of a challenge, so it will depend on your own personal preference. The storyline is enjoyable and the voice acting is quite good, but the entire atmosphere is creepy/spooky, so it may be way too much for some younger players. There is a sequel as well, so the plot does continue on in the next game. Overall, I really enjoy this game. And seeing as it's been out for years, I have indeed played it more than once, making the replay value quite good for me. 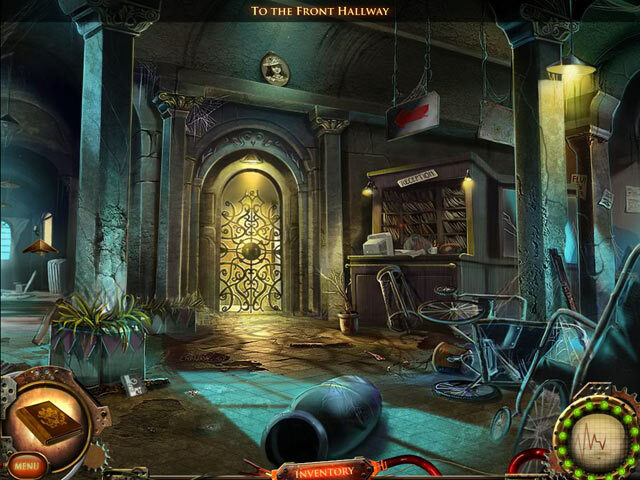 If you like this sort of spooky hidden object game, this is definitely one that I would recommend. Rated 5 out of 5 by SparkleGlow100 from Good creepy game, without being over the top. Another older game with TONS of HOPS (30?). Roam around deserted rooms and hallways that are cracking, peeling and have all kinds of items left over from a now non- functioning asylum, built around the turn of 20th century. You get to go outside too. I really loved the graphics. If you require a travel map or hint that will do everything if asked, then this game is not for you. However, BFG DOES have a walkthrough for this game. The game never crossed the boundary to make me feel uncomfortable. It showed stuff without showing anyone suffering. There are dried splats of blood here and there and obviously all kinds of remnants and evidence that this was a mental facility for resident patients. No cheap tricks like syringes in teddy bears or anything like that. GRAPHICS: Very, very atmospheric and detailed, but a bit dark. Best on computer full brightness – save this one for evening. Doesn’t fill the whole screen. HOPS: LOTS and LOTS, because there are also lots of places to explore. PUZZLES: Mix of interesting puzzles. All skippable. Takes about 1 minute. SOUNDS: 2. Music and Sound. Strangely, Music actually seemed to control the mouse sounds and vice-a-versa. HINT: Written clues. You do not always get direct clues either, just generalized instructions for looking for some item(s) on a certain floor! BFG DOES have a WALKTHROUGH for this game! Hint recharges 20-30 seconds. DIFFICULTY LEVELS: One level only MAP: Yes, but not travel. INVENTORY: NOT lockable JOURNAL: Yes, with notes, tasks, map and tapes (you find the tapes) CHARACTERS: Very few. Mainly there are 3 other characters besides yourself, and 1 additional character that you are hunting for. There are voice-overs but the characters do not visibly talk. There is a voice-over mute option too. Characters were done quite well, all with different personalities. Rated 5 out of 5 by KleoBeBe from In my top 5 favorite storyline list! Wow, I can't believe I missed this little gem. I started playing in 2012 and became addicted to HOGs soon there after. I've searched for high rated games, and I don't remember seeing this one. Anyway, after hundreds of games this one has become one of my favorites, especially for the storyline! There are A LOT of HOS and sometimes items are hard to see. But for me that was inconsequential. If you like creepy games, and you can overlook the HOS, this game is for you! Rated 5 out of 5 by hermitcave from Thoroughly enjoyed my time with this game A very well written story and presentation that I enjoyed a great deal. The graphics were very good and the sound was great and not overbearing. 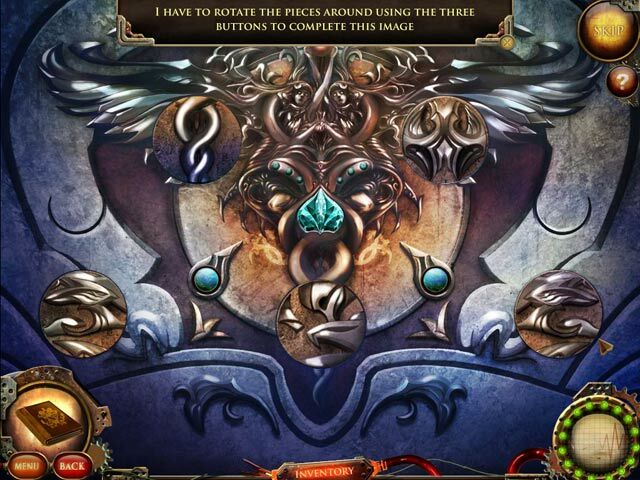 The puzzles were well thought out and it was fairly easy to follow the flow of the game. Most minigames I was able to do but some I had to skip as I was unsure as to the goal. I found the story engaging and time went by fast as i was engrossed in helping her find out what was happening. The ending set it up for the sequel and I looked forward to playing it. Rated 5 out of 5 by jstonedvm from Great for helping my kid learn to read! This game is very engaging and has great graphics. My kid is pretty young but is already kind of a horror buff. This may seem like a game for an older kid but the find-it screens are really helping her learn to read. The story keeps her attention and keeps her wanting to get to the next screen which keeps her reading. The occasional scares that happened were just right to keep us on the edge of our seats too. We liked the story, but the ending could have been stronger. Otherwise it was an engrossing and fun game that we really enjoyed playing together! Rated 5 out of 5 by Nojhog from Very Enjoyable This has just the right amount of challenge to the HOS and puzzles. The story is interesting and the voice acting is good. I really enjoyed it and will buy it.